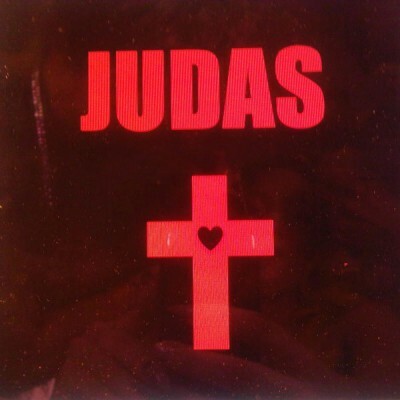 She’s back with her second single “Judas” coming off her upcoming second studio album Born This Way. The song has been on repeat on the radio stations since April when it was released, now comes the video you have all been waiting for. As in normal Gaga fashion this video is over the top filled with weird/corny/cool dance moves, catchy tunes, costumes, unique make up, nails and lets not forget the fight between good and evil. The video was co-directed by Gaga and Laurieann Gibson, co-starring Norman Reedus and Rick Gonzalez. It includes a Biblical storyline where Reedus plays Judas Iscariot and Gaga plays Mary Magdalene. Gaga has even been criticized by the Catholic League for the use of religious imagery and her role as Magdalene in the video. So it seems like she is still pushing the boundaries, however I cannot say that regarding the video. Even though millions of viewers have praised this video as “her best ever” I disagree. In my opinion the costumes and make up used was simply not up to her standards. Yes it is outrageous and yes it is totally out there but it just does not hold the same taste and quality as her other video’s do. Perhaps it was because she directed it? What do you think?